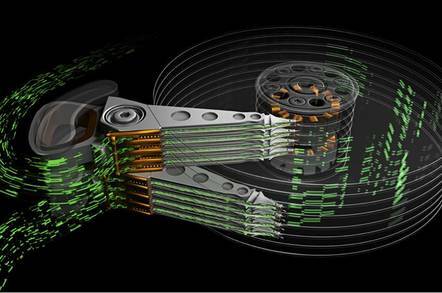 Seagate is increasing IO performance in disk drives by separating read-write heads into two separate sets which can operate independently and in parallel.The heads are positioned at one end of actuator arms which rotate around a post at their other end to move the heads across the platter surfaces. Thus, with an eight-platter drive, each read-write head is positioned above the same cylindrical track on each platter and reads or writes to and from the same disk blocks on each platter’s surface.Seagate’s Multi Actuator technology divides these eight heads into two sets of four, and they can move independently of each other. An animated graphic here shows them in operation.